Recently I received an email from a reader that began: Help! I don’t know how to choose a Bible reading plan! After returning her email, I began to think about how many readers arrive here at rachelwojo.com because you want to read your Bible, you’re just not sure how to begin. 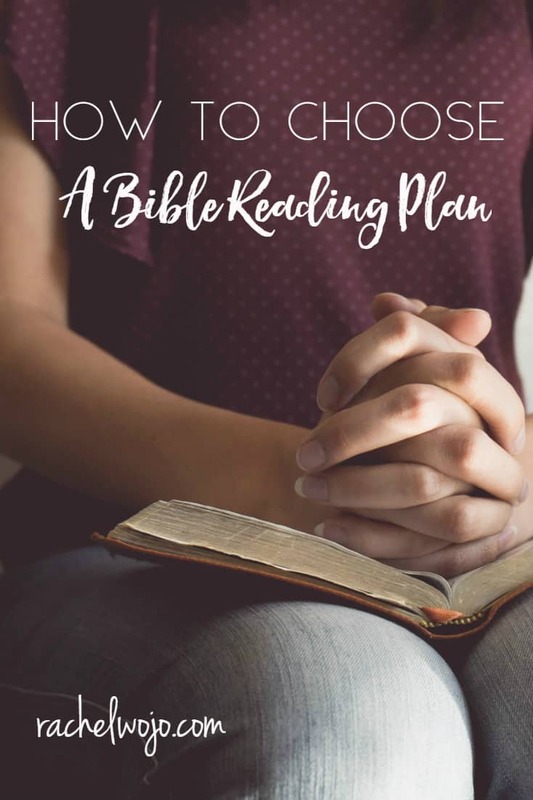 Today I wanted to share a few tips on how to choose a Bible reading plan in order to maximize the most of your efforts to read the Bible. Decide on your best time to read the Bible each day. There have been seasons in my life when reading anything first thing in the morning was extremely difficult. Whether it was because of pulling an allnighter with a newborn or sick child, or having a 5 am start to the day, I could barely hold my eyes open, much less focus them. If that’s you, then choose your best time for God each day. Maybe it’s while you’re on the commute to work. Maybe it’s on your lunch break. Each person will have unique circumstances, but the most important choice you make before choosing the Bible reading plan is to choose a time of the day that will allow you to develop a healthy habit. Choose the amount of time you plan to read daily. Set an amount of reading time for each day. Whether it’s 10 minutes, 20 minutes, or half hour doesn’t matter, what matters is that you are realistic about the amount of time you are setting aside. It’s important to do this BEFORE choosing your plan, because the amount of time required to read is dependent upon the amount of reading. If you set aside 20 minutes a day to read your Bible and pray, but then you use all 20 minutes to read 4 chapters, then you won’t have time left to pray. It can be discouraging to feel unsuccessful in your goals for having quiet time with God. So choose the amount of time carefully to set yourself up for success. Analyze how long it takes you to read at a normal pace and choose the number of chapters or verses per day that you’d like to read daily. Do you want to read one chapter a day or 5-10 verses a day? How long does it take you to read an entire chapter, which is an average of 25-30 verses? How long does it take you to read 5-10 verses? Do you have a block of time set aside for the amount you’ve chosen or would it be a benefit to break the reading amount into two segments, one in the morning and one in the evening? Answering all of these questions will help you make a strong choice when it comes to choosing a Bible reading plan. Consider the length of the Bible reading plan. We all experience various seasons in life and what works at one intersection of life may not be ideal for another. 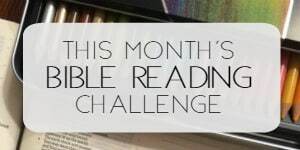 I love one month Bible reading plans because 28-31 days is just the right amount of time to maintain a health new habit and yet allow for a topical or book change before the topic is no longer fresh. Pray and ask the Lord to reveal the best option to you. God so loves to answer our prayers. No matter the plan you choose, the Lord will bless your growth efforts! But I believe God uses circumstances and other people in our lives to give us direction. If you pray for God to show you something and the next day, a friend invites you to read with her, then don’t overlook God’s direction! Right? Select the type of Bible reading plan. Whether a single book of the Bible, a topical Bible reading plan, or a plan to read through the entire Bible, the type of Bible reading plan you choose is critical. Be honest with yourself about where you are spiritually. If you haven’t read your Bible consistently for awhile, then choosing a simple topical plan to grow your faith might be just the thing. If you’ve been faithfully studying God’s Word at your church or with your small group or you’ve been reading your Bible daily for a while, then reading through a book of the Bible would be a great option for you. Perhaps your desire is to challenge yourself spiritually and you want to dedicate yourself to read through the Bible in a year. Using a check-off plan, One Year Bible or in-app plan with notification settings would be a fantastic way to accomplish that goal! 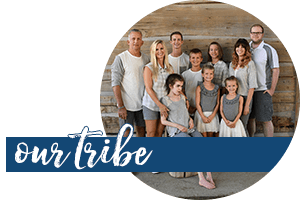 My prayer for you is that this article has helped you think through the process of choosing a Bible reading plan and you feel empowered to make the decision to read and discover how God wants to speak to your heart through his love letter to you! Hi, I am in South Africa. 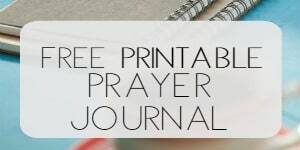 I would love to do the reading plans and complete the journal. Is there a possibility to purchase the journal in PDF format? Not at this time, but we are considering that option for the future! God bless! These are great tips. There are so many different bible reading plans out there. One to fit each lifestyle and needs. Yes, there are! Many times, it just takes a little consideration to know what can work for you. Blessings to you!